This is Part 1 of a 2-part article. Read part 2 here. 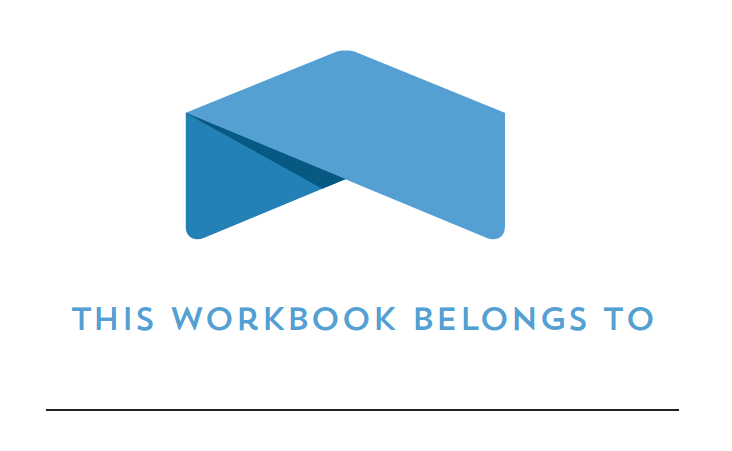 I use Dropbox every day to share files with my clients. It's a great system, very well supported, well integrated into the mac, and my phone, and all my clients use it. It's generally fabulous. But I do have a complaint about Dropbox: it's commenting capabilities. When I start working with a new client, I set them up with a shared dropbox folder and give them specific instructions to NOT use Dropbox commenting. Instead, they need to open the PDFs in Acrobat or Reader, make the comments there, and then save and close them. They must skip the web interface when commenting. I'd prefer if they even skip the web interface when viewing the PDFs. I'm quite passionate about this, and so I thought I'd share some examples. Hey Dropbox, where did my comments go? The first time I experienced this, I gasped. After years of asking nicely for PDF comments (as opposed to answering my questions in an email reply), a client opened one of the drafts using the Dropbox web interface, and then started commenting. How easy! I got notified through the Mac notifications, and then opened the file on my computer, double-clicked it to open it in Acrobat, and there were no comments. What the..? I went back to dropbox.com, and the comments were there. But they weren't visible when I viewed the file in Acrobat. Dropbox said that all the files were up to date, but the modification date of the file on my computer was a week prior. Fast forward a couple of years and I again today encountered some Dropbox idiosyncrasies. This first screen shot is the PDF when viewed in Dropbox. There are no comments listed in the Comments pane. But clearly there are comments on the page, two in fact: a sticky note and a text insertion. But now when I open the same PDF in Acrobat, both of those comments are listed in the Acrobat Comments page (as well as the dozens of other comments in this PDF). I'll talk more about the serious issues with later on in this article, but first I'd like to show you some more visual discrepancies between the PDFs rendering done in Dropbox versus Acrobat. Hey dropbox, what the heck did you do to my fonts? I encountered another horrible issue today with the Dropbox web interface: font display. Now, I'm not a software developer engineer, so I have no idea of what kind of technology that Dropbox uses to display PDFs. But it's clearly not using the Adobe Reader plugin to Safari. 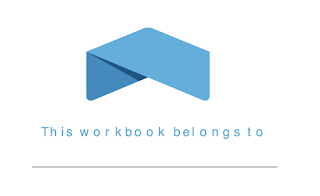 Perhaps that's because Dropbox attempts to display a variety of filetypes, from JPGs and PSDs to Excel and Word files, in addition to PDFs. 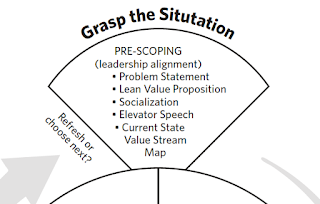 Here is what one of my graphics looked like when I viewed a PDF though the Dropbox web interface. This graphic is a placed .AI file in InDesign. Clearly there is something wrong! 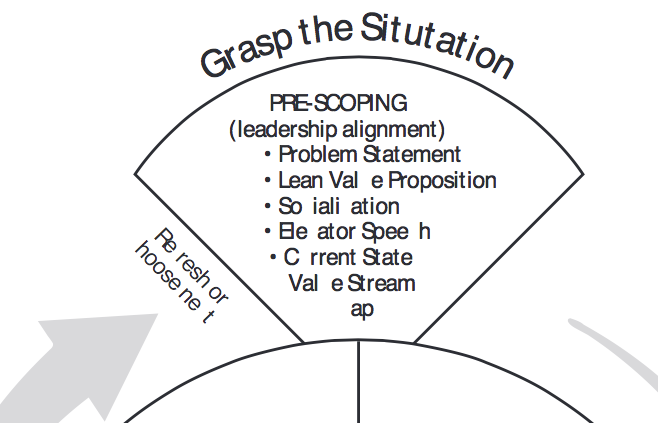 To the untrained eye, this document looks like it is nothing by typos. Some letters, inclusion ligatures, are simply not displayed at all. Here is what the above graphic actually looks like when viewed in Acrobat. The same issue rears its ugly head again, but this time, when Dropbox substituted a font (which was designed on all caps), it looks like there are now two errors: incorrect font as well as incorrect capitalization. Dropbox recently added a new capability: it will display the contents of existing PDF sticky notes when you hover over them in the dropbox web user interface. Sounds great, right? Well... not as much as you might think. The sticky notes are GINORMOUS! 18 point font, at least. And you can't interact with them. All you can do is look at them. You can't respond to them, edit them, or copy the contents out of them. They're just decoration at this point. In Acrobat, the sticky notes boxes stay the same size, no matter the resolution at which you are viewing your PDF. It's elegant and unobtrusive. The way PDF commenting should be. First, a little background: When Adobe first introduced commenting Stamps, I think there was a huge disconnect between the historical purpose of actual stamps in general office use (like APPROVED/ CONFIDENTIAL, etc. ), and those Adobe employees would actually be in charge of creating the sample stamp artwork. The stamps they created were more like stickers that a fifth grader would put on their school notebook. I wrote about that in a prior article. Pretty Ridiculous, right? Ridiculous Acrobat Stamp, circa 2000. Adobe has come a long way since then and they since made stamps for professional use (like SIGN HERE-->). But fast forward fifteen years, and we're now in the age of social media and emojis. We use happy faces and animated gifs to share our reactions with people. Who doesn't love getting a happy birthday GIF from a friend? This is one I got from my cousin on my birthday. How sweet! This is cute, and I find it humorous when friends and family members share these types of images with me. But here's the thing: I don't share dropbox files with friends and family. And I would NEVER share cutesy animated graphics with clients. It's inappropriate at best, and at worst, could jeopardize my professional relationship with them. 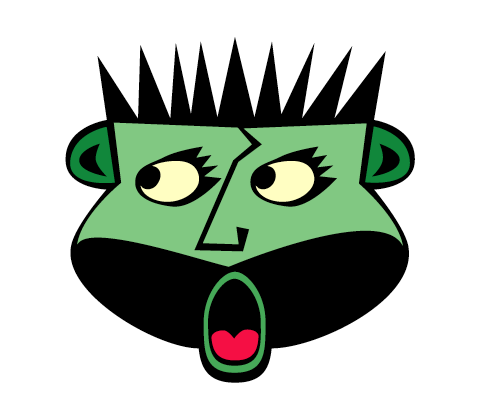 So why am I mentioning goofy stamps and animated gifs? Sit down for this one... Dropbox incorporated animated stickers into its PDF commenting features. Seriously? I actually have an entire 8 minute video on Lynda.com, demonstrating how difficult it is to use Dropbox comments, and why you should generally stay away from them. After experimenting with this feature, I also discovered that whenever someone else uses the Dropbox app of website to make a comment or add a sticker to one of my PDF files, I'll get a notification on my phone, as well as on my mac! Awesome! I suppose as a practical joke, you could post a public link to a someone's Dropbox file (make sure it's a good friend), and then ask users across the interwebs to add sticky notes to it. Your friend will get spammed with notifications, both on their computer as well as on their phone! 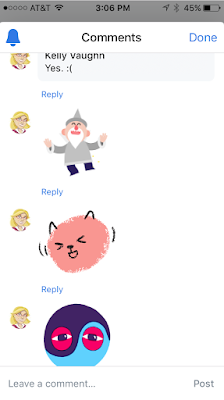 Drop Comments: a fun way to spam your friends with sticker notifications! 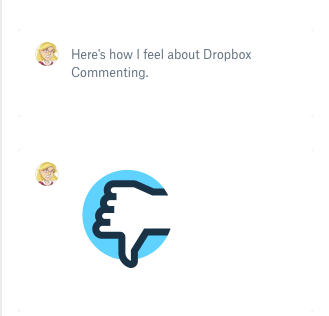 The worst part about this feature is that the entire premise of Dropbox commenting goes against the behavior that we have come to know and expect from PDF commenting: the idea that comments travel with the document. In Dropbox commenting, they don't. 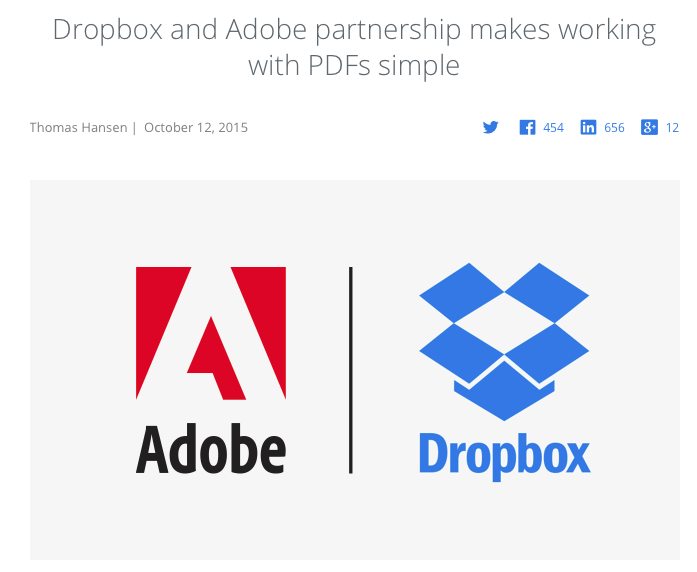 Comments made to a document through the Dropbox website or app exist exclusively within those two applications (excluding even your local computer). So if you move the document from dropbox (to an archive server, or anywhere else outside the magical dropbox folder on your computer), your comments will be lost. Heck, you can't even view the comments (those made on dropbox.com) when simply double-clicking on the PDF on your computer. In order to view the comments, you have to view the document either at dropbox.com or using the Dropbox app on your phone or tablet. "Is there a way to make these comments interchangeable? No, there isn't. The commenting feature in Dropbox is independent from the comments in the file itself. The comments made in Adobe, etc., are in the file. The comments made on Dropbox are in the Dropbox system, not the file. Also, what you're viewing online in Dropbox is a preview of the original file. To view the original file (with comments intact), the file must be downloaded and opened in Adobe Reader or another supported application." To add to the confusion, Adobe promotes that it has dropbox integration. But what does that really mean? It's not what you'd think. I bolded some of the text for clarification on how the feature actually works. Available today on Mac and PC: Add your Dropbox account from the latest versions of Adobe Acrobat and Acrobat Reader desktop apps — so you can quickly open PDFs stored in your Dropbox right from within the Adobe desktop apps. Available soon on iOS: In the coming months, you’ll be able to annotate and comment on PDFs stored in Dropbox right from your iPhone or iPad, using Acrobat Reader mobile. The same integration will be available on Android devices next year. This means you can do more with your PDFs, wherever you are. You won’t lose time waiting to get back to your computer to redline or electronically sign a contract, or add feedback to a design mock. And no more printing out a PDF, writing comments on it, scanning it, and emailing it as an attachment. Instead you’ll be able to open a PDF from Dropbox and edit it using the Adobe apps, then save and share your work easily through Dropbox. 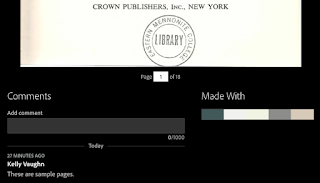 Easily edit PDFs on the go. Highlight or annotate text from your iPhone or iPad, and your changes will be saved back to Dropbox automatically. Share your work in seconds. Any edits you make to a PDF stored in Dropbox — whether you make the changes on your computer or mobile device — will save back to Dropbox, so you can share the updated PDF with collaborators quickly and easily. 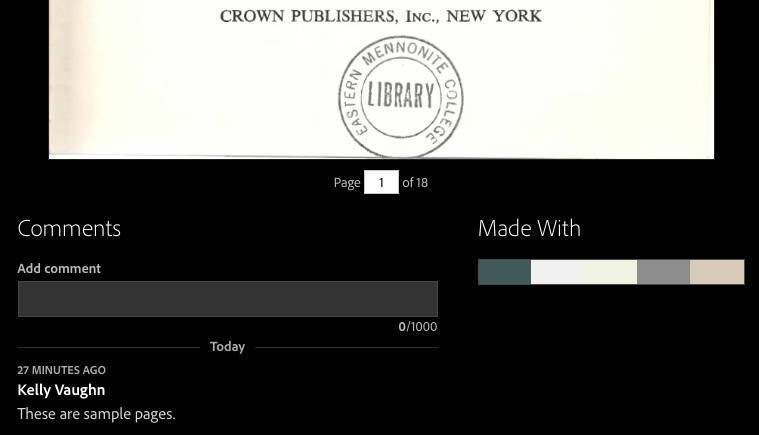 Pull up the latest drafts of your PDFs anytime and anywhere. Access the PDFs in your Dropbox from within Acrobat DC or Acrobat Reader — on your phone or tablet, or on your computer. So did you see how it works? What the above marketing copy doesn't say is that you can't use the Dropbox app or the Dropbox website to make your PDF comments. You have to use an Adobe app if you want the comments to "stick." Here is the same marketing copy, but with the important bits emphasized. What's so ironic is that the above article promoting Adobe-Dropbox integration was actually published on the Dropbox website, but in order to have comments that sync, you can't use Dropbox make those comments. But this very important feature (perhaps the most important tidbit of information about the entire process) is simply glossed over. The only reason that piece of information is readily visible is because I made it bold, red, and underlined. I want to contrast Dropbox commenting with Creative Cloud commenting. Adobe invented PDF, and so they know a thing or two about how to comment on a document. But even they opted to include a much simpler version of commenting in their cloud-based file storage system (Creative Cloud). Notice that there is no comments "pane." It's simply a text field at the bottom of the document. And the amount of screen real estate it consumes is negligible. I think that the amount of screen space a feature consumes is often closely related to how important the software company feels it's features are. 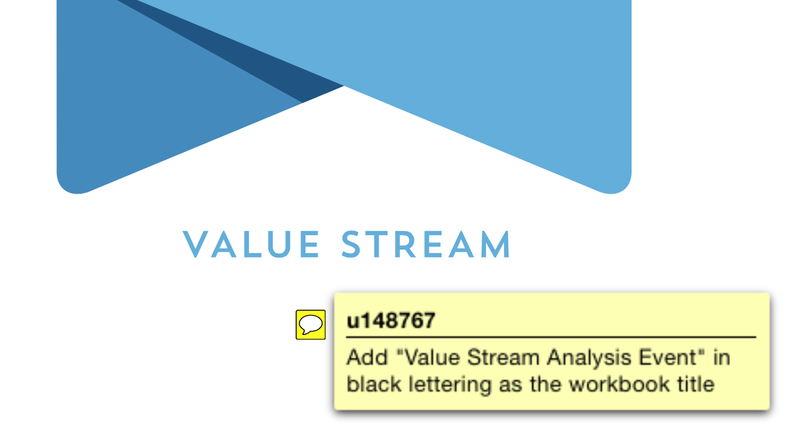 There are no questions about the importance of CC commenting on documents, so it doesn't attempt to sync PDF comments with Creative Cloud comments. Also notice that there are are no existing comments. It's true that Creative Cloud commenting also doesn't sync between desktop and the CC storage cloud, but here's the thing: it doesn't look like it should. It appears to me that the Dropbox tried very hard to make its commenting UI mimic that of Acrobat, but the actual behavior falls far short. Let me be clear. I love Dropbox, and it has revolutionized my workflow and collaboration with my clients. But I hate it's commenting features, and I think they should be removed entirely. Until Dropbox develops a way to export all comments as FDF files, I think they should abandon commenting within their ecosystem, make it much simpler (like Adobe has done), or at least offer users a way to disable it, so that no one can comment on their documents and be tricked into thinking that those comments are actually part of the PDF. If you'd like to learn more about Dropbox, check out this great Lynda course by my friend Keith Gilbert: Learning Dropbox. Learn How to Create an app with AppQuick App Builder. Create an app for Andriod and IOS With no codding. We learn you also how to earn Money from app. you can also contact me at depressioncure.net@gmail.com for link exchange, article exchange or for advertisement. Help Make Adobe Products Better with UserVoice!